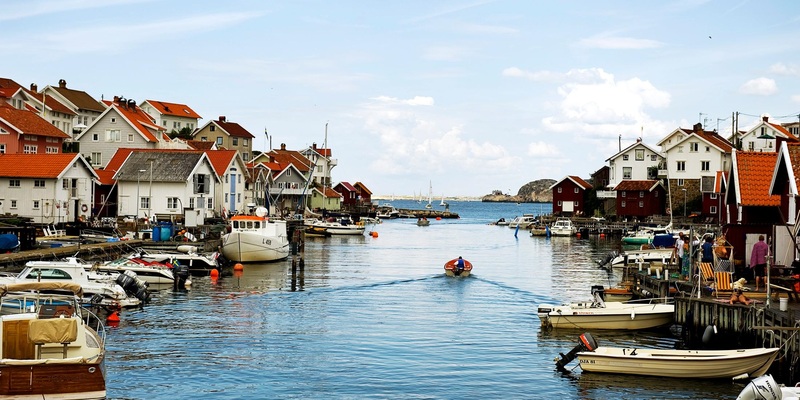 Gullholmen / Härmanö is located in beautiful Bohuslän. The island is largely a nature reserve. Accommodation has for many years wanted lighting to increase accessibility and security. On the island there are nice walking and cycling routes and many people go out there to walk. That there is no road lighting has been perceived as a problem both for those who live on the island but also for visitors to the island during the dark time of the year. Large parts of Härmanö is a nature reserve and lacks electricity grids for lighting, you must also not dig down cables. The community took the help of the local energy company at Orust, together they chose a motion-controlled solar-powered bollard lighting. A motion-controlled lighting is only lit when moving, this is appreciated by the residents who care for the dark. The lighting is partly mounted on rocks and partly in ground with the help of ground anchors. The poles are completely self-sufficient in energy and have solar cells and intelligent control. A total of 245 bollards were installed, which lit up a 4 km walkway. 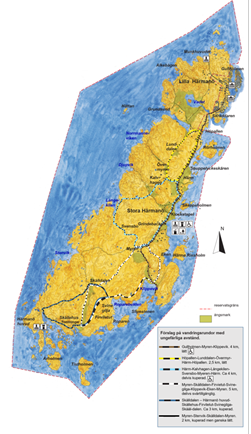 The project has received an EU contribution for the installation of environmentally efficient lighting via Leader Södra Bohuslän.